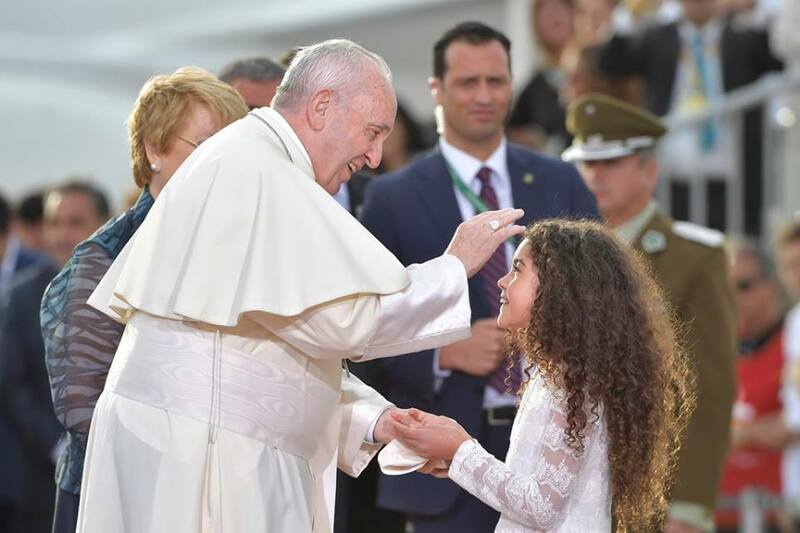 Pope begins his 6-day Apostolic Visit to Chile and Peru. Pope Francis has arrived in Chile, beginning a week-long Apostolic journey that will take him to 6 cities in as many days in Chile and Peru. This his 6th apostolic visit to Latin America. The Pope was met at Santiago International airport by Chilean President, Michelle Bachelet, and the President of the country’s Bishops’ Conference. There were no official discourses as the Pope went immediately to the Apostolic Nunciature to rest. The official programme of the visit begins today with his meeting with civil authorities and members of the diplomatic corps. Highlights of the trip are expected to include some less formal meetings with indigenous people and migrants in both countries, as well as traditional encounters with young people, members of the local Bishops Conferences, and his customary conversations with priests and religious. But there will also be a more personal visit to the Jesuit Community at the St Alberto Hurtado Shrine on Tuesday evening, in keeping with the Pope’s tradition of taking time off to catch up with his Jesuit brothers in the country he is visiting. Hurtado was a Chilean Jesuit who became the country’s first male saint when he was canonized by Benedict XVI.